KOCHI: We have attended many training sessions which focus on developing leadership skills in the individuals. Often these sessions depend on the expertise of the trainers who are able to create an impact on other individuals. 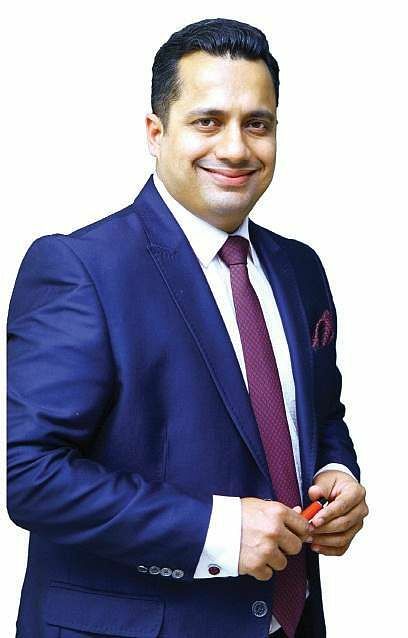 One such person is Dr Vivek Bindra, one of the most reputed leadership trainer’s in Asia who was present in Kochi as part of a leadership training programme. The winner of best leadership trainer award by Dr Marshall Goldsmith at World HRD Congress, Dr Vivek is also a world record holder for conducting training session for over 1,000 ( largest ever) HR professionals under one roof. He started ‘Global Act’, an organisation which directs leadership and management training with an aim to ‘Empower the Manpower’. The trainer also told that MBA courses these days lack in giving the students proper training. They are incapable of surviving in an office dealing with the work pressure. After paying so much for the seats students gain little from the post graduation course. “Already paid courses are expensive and in future it will become unaffordable. Its time people set priorities rightly and think about going for an MBA. Not much is gained from the dry course material and useless monotonous practice exercises,” he said. Dr Vivek is also known for the incorporation of ideals from Bhagavad Gita into his motivational lessons and leadership training as management principles. “Bhagavad Gita is not a religious text. It is a book of life and living. The ideals imparted are the best lessons for any leader and for anyone who is caught up in the web of life and forgets their goals,” he said.Besides this, he has a youtube channel broadcasting motivational videos with over 50 million subscribers, one of the largest number of motivational speakers across the globe.